I have been able to put some extra time in at work over the last little while so I had some time coming to me. I have always wanted to hike up Pickwauket Mountain just outside of Hampton for sometime now and today, I made the trek up the steep slope. Work had taken me to Hampton for the morning and so I decided that while there I would explore the area a bit. The weather was not looking promising, mild for this time of year but calling for rain. I crossed my fingers as I parked my car along the Lawless Road and set a course for the rocky outcrop on the southern face of Pickwauket Mountain. 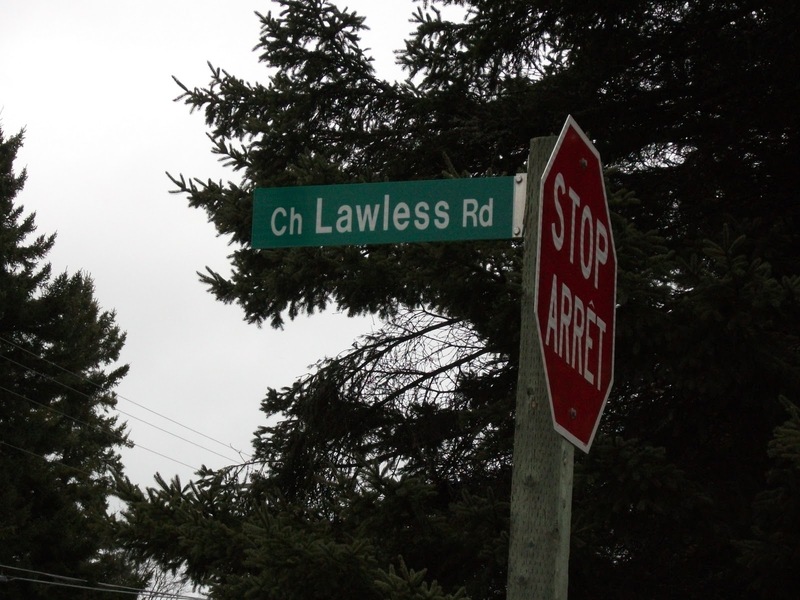 It was ironic to me that I was on the Lawless Road when just a few weeks ago I started a hike off on the Law Road. The first obstacle that I would have to overcome on this hike would be to cross Pickwauket Brook. After a short jaunt up the stream I found a spruce tree that was stretching its limbs across the brook. I carefully stepped across the tree and landed safely on the other side. It was all up hill from here but it would turn out to be a great walk. There are times when I envy some landowners for what they have and for what they have maintained. It is not enough simply to own land but I really admire those who work their land and maintain its integrity. As I left the flood plain with its scruffy alders, thick black spruce, and white birch, I moved into a well kept pine stand. The forest stand was not so impressive but the road that led me around to the north side of the mountain was very picturesque. It seemed to envelop you in a blanket as I walked along. It made it very difficult to leave the road to head for the higher slopes. 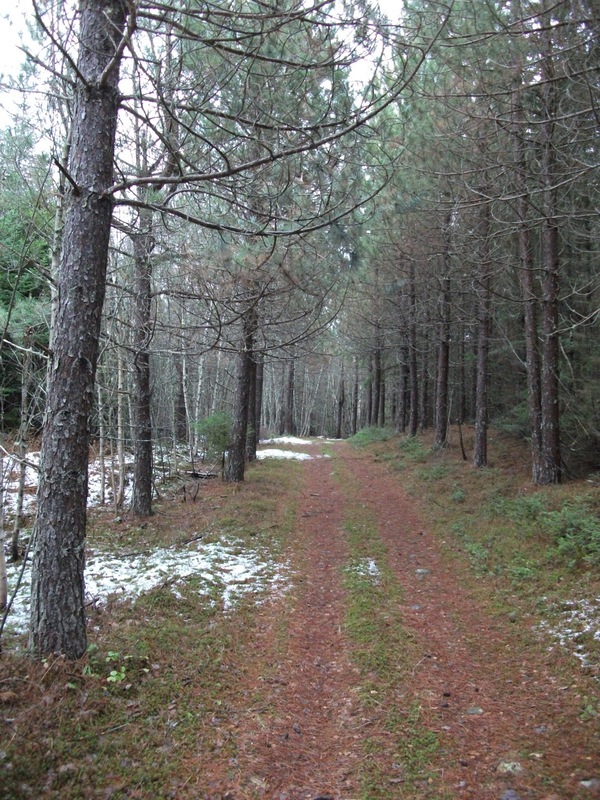 The forest had turned to thin yellow and white birch stands with the odd spruce and pine thrown in. The final ascent to the top of the mountain was challenging but the biggest challenge I faced was which approach to take to reveal the scenic vista over the Hampton Marsh. I raced up the slope and stepped onto the rock precipice and took it all in. 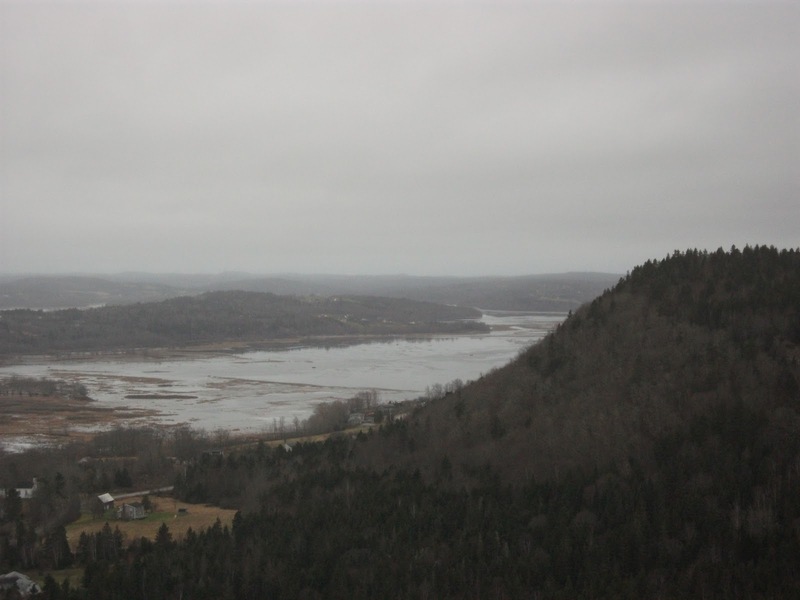 The view was amazing, even with the gray overcast day, the site line stretched a long way across the Marsh to the far hills. I sat on the south slope for a while, because the wind was cool on the north east, but I still took time to take in the view from that angle as well. I took notice of a stunted spruce that was growing with a majority of its roots upturned. It was a true testament of the will of nature to see that tree growing on such a wind torn and rock hard place. With some hesitation I left the small mountain that juts out of the landscape like a volcano on the prairies. It was a great hike that was overdue and it set my mind right again as I start to prepare for the holiday season. Looking down onto the Hampton Marsh from the top of Pickwauket Mtn. Looks like a great hike. Can't wait to get out there myself! I've tried to find the trail head on lawless road countless times and have never been lucky enough. Very envious of your trip up.